This partnership allows Tecoi to use Lantek software solutions intetrally for their cutting machines. Lantek, a leader in the development and marketing of CAD/CAM software solutions/MES/ERP for the metal industry worldwide, has consolidated its global agreement with Tecoi, a leading manufacturer of cutting machines and sheet metal processing. This close collaboration, which began in 2000, has enabled the company, headquartered in León (Spain) to equip their products with the advanced software solutions designed by Lantek, providing an important competitive advantage for their machines right from the start. "At Lantek, we have been developing an intense policy of strategic agreements and alliances for nearly 30 years with different companies worldwide that are beneficial to both parties. This is the case of our global agreement with Tecoi, which celebrates its 15th anniversary this year. On the one hand, Tecoi has expressed their satisfaction in being able to offer and incorporate Lantek solutions in its sheet metal processing systems and in recognizing how this partnership allows them to be more competitive. For us, the partnership with Tecoi has given us the opportunity to work alongside the leading manufacturer of cutting machines, processing large sizes and thicknesses, and to further expand our extensive international network that currently reaches more than 100 countries, 23 offices and more than 16,000 customers worldwide. Undoubtedly, one of the keys to the success of this expansion has been agreements, like the one with Tecoi," says Francisco Perez, Director of the Lantek OEM Channel. 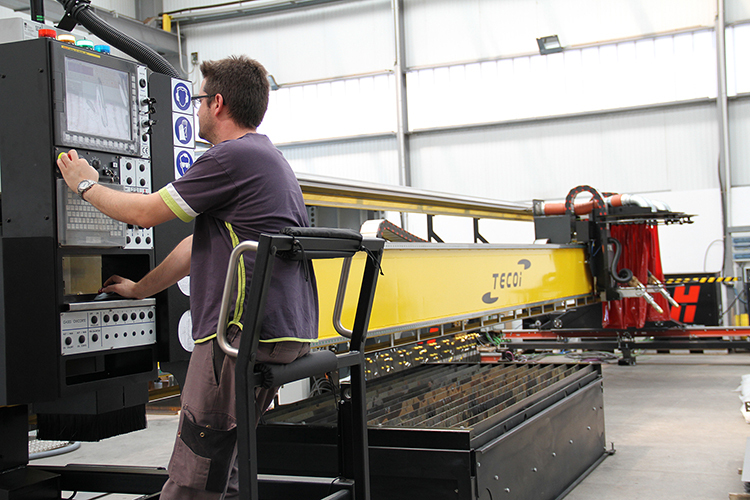 Tecoi is a company dedicated to the design, manufacture, installation, and maintenance of industrial tables and machines for cutting metals with plasma, oxycut, and lasers as well as sheet metal machining and welding preparation. 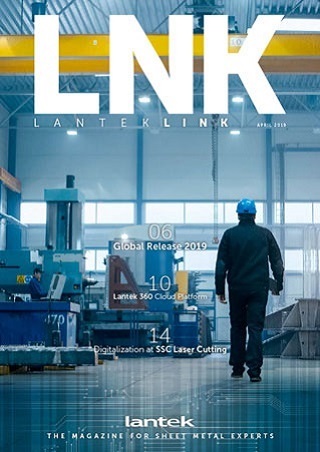 In the last 15 years, Lantek has become a natural ally in this global agreement allowing Tecoi to incorporate some of Lantek’s key solutions into their machines, particularly with Lantek Expert, Lantek Flex3d Tubes and Lantek Flex3d Steelwork, depending on the needs of each product. "In all of this time of collaboration it has been shown that our solutions result in higher efficiency and performance for machines designed by Tecoi" highlights Francisco Pérez. Lantek Expert Punch and Lantek Expert Cut solutions are two of the most popular systems for machine manufacturers like Tecoi. Meanwhile, Lantek Flex3d Steelwork allows 3D design in an intuitive and simple way, giving the user a true vision of the results when cutting any shape with the machine. This solution displays each manufacturing profile in 3D, which minimizes the possibility of error. Additionally, it allows the complete management of the sales process, from creating a budget to issuing invoices and includes the ability to incorporate plant data capturing systems. Lantek Flex3D Tubes is another solution that incorporates different importers of tubular geometries and is a fully parametric system with the option of changing the values of any of the operations performed, even allowing for the modification of the tube’s initial design parameters. According to Francisco Perez, Tecoi is a company that shares many values with Lantek and, for this reason, this global agreement is very successful. "Like us, it is a company with a broad distribution network in all 5 continents, leading in its sector with special focus and dedication to R&D policies with an in-house Research, Development, and Innovation department. The combination of our advanced software with Tecoi products is the perfect solution for thousands of customers worldwide." Lantek provides software solutions CAD/CAM/MES/ERP for companies fabricating sheet metal, tubes, and beams with any cutting (laser, plasma, oxy-cut, water jet, shear) and punching technology. Lantek integrates the most advanced nesting software in the industry with the highest standards in manufacturing management solutions. Its capacity for innovation and its firm commitment to internationalization and emerging markets have led Lantek, founded in 1986 in the Basque Country and with central offices in Vitoria-Gasteiz (Alava), to devise a global-local strategy, which has meant it has become a global reference within the industry with its CAD/CAM/MES/ERP solutions. Today, the company has over 16,000 customers in over 100 countries and its own offices in 15 countries, in addition to an extensive network of distributors that are present throughout the world. In 2014 its international operations provided 88% of its turnover.